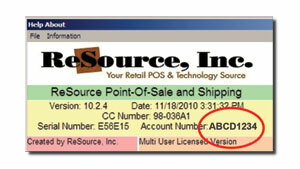 Locating your ReSource Account Number is easy! 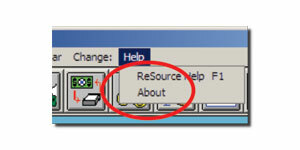 From within ReSource, click on Help>About. Look for your Eight Digit Account Number in the yellow shaded area. Enter your Eight Digit Account Number in the Account # field above. Copyright © 2019, ReSource, Inc.